Working in close collaboration with Can Factory and the team from Globant (formal we are experience), Cineworld undertook a major redesign of their eCommerce solutions during the course of 2012, which resulted in significant increases to both sales and visits. Regan Andrew, Cineworld’s Head of eCommerce, led the redesign project and is responsible for all online sales as well as Cineworld’s phone booking line. The project last almost 12-months and included the launch of a Cineworld’s new Android mobile app. Simultaneously Can Factory worked with Cineworld’s eCommerce and IT teams to coordinate the integration of the web application with a major IT transformation project involving the migration over to Cineworld’s new Vista Entertainment back office systems. This included the integration of new Vista back-office functionality to deliver support for the sale of online concessions. “The integration project went really well. For such a big project it was one of the smoothest I’ve ever undertaken in terms of the technology. The new website has delivered significant gains with major improvements in both conversion rates and visits.” confirms Andrews. As a result of these combined improvements, Cineworld’s online sales increased by nearly 30% between 2012 and the first part of 2013, which also coincided with a significant overall increase to customer traffic. 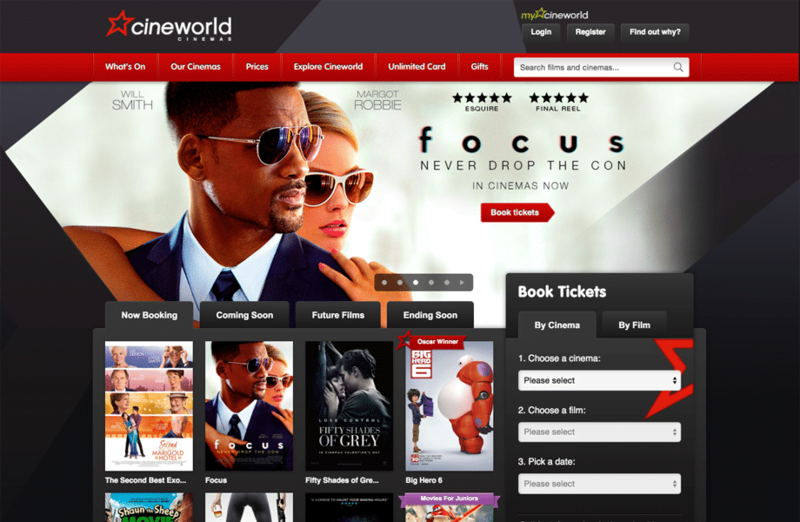 The success of the new site helped achieve Cineworld’s highest position as the 25th most visited e-retail website in the UK in the IMRG-Experian Hitwise Hot Shops List of the top 50 UK e-retailers. (Source: Interactive Media in Retail Group IMRG & Experian – August 2013). This continued the upward trend that began when Can Factory started working with Cineworld in 2008 and we first helped Cineworld overtake both Vue (2009) and Odeon (2010) in the Hitwise Hot Shops List. Cineworld haven’t fallen behind again since 2010, and Can Factory are looking forward to helping Cineworld continue to maintain that position in future, as well as ensuring continued gains in both conversion rates and visits. The integration project went really well. For such a big project it was one of the smoothest I’ve ever undertaken in terms of the technology. The new website has delivered significant gains with major improvements in both conversion rates and visits.